The Hot Glass Roadshow went “Down Under” on a five-city tour, beginning with the Powerhouse Museum in Sydney, traveling on the National Folk Festival in Canberra, on to Wagga Wagga which is home to the national glass collection, then the Docklands in Melbourne, and culminating at the 2005 Glass Arts Society’s 35th Annual Conference in Adelaide. 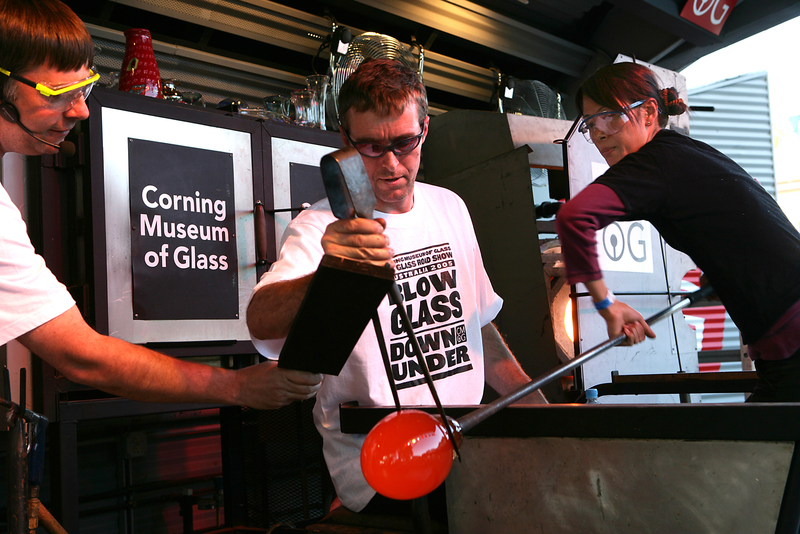 This tour of Australia honored a similar trip taken by glass artist Richard Marquis in 1974, which brought new glassmaking techniques to schools and universities across the country. Many credit that tour with helping to shape the Australian Studio Glass movement.